To save you time and money, we'll take care of finding a fitter in your area to fit the tyres for you -quality craftsmanship at a reduced price. Widespread network of fitting stations – 2,000 tyre fitters in the UK. You can choose from 8 different payment options. Winter tyres – for safe driving on ice and snow during the winter season! Weather and road conditions can change abruptly in winter. Winter tyres have to offer a consistent, high degree of safety when it’s dry, when temperatures are low, and when streets are covered by ice and snow. The tyre mark M+S (also: M&S tyres or M.S. tyres tags) shows that winter tyres and all-rounder tyres are suitable for winter and snow. Additionally, some M+S winter tyres have a snowflake symbolising a high standard of winter tyre quality and excellent tyre grip. As a result, these tyres are a must for your vehicle in winter. 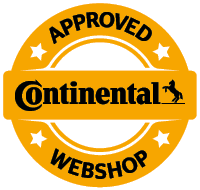 Find your new tyres for every car make here today! If you are looking for reliable winter tyres, summer tyres, season tyres and performance tyres around, you have thus come to the right place. At mytyres.co.uk, we bring you all of these performance summer tyres and winter tyres in every tyre size, produced by top brands, for all road conditions. Search for the right set of winter tyres or snow tyre size by using our tool. If you have any questions about your new winter tyres or summer tyres, you can contact the mytyres.co.uk team at any time. Use this opportunity to find your top performance summer tyre or recommended winter tyre choice for a good price. Also, use our tool to search for the right tyre size! For further questions, just contact us. Naturally, it is crucial to have great grip on roads covered in ice and snow. To guarantee reliable grip and performance in low temperatures, winter tyres are manufactured using a special tyre rubber compound. That’s how these tyres can adapt to wintery surfaces perfectly. Driving your vehicle when faced with snow and bad weather will be a whole lot more comfortable thanks to these winter weather tyres and their unique tread. Of course, the tread compound also matters when you buy summer tyres for your vehicle. Winter tyres have broad tread grooves and additional ribs. Ribs open and close while driving, thus ensuring that the drive and braking power are optimally transferred to the road. This results in stability and reliable grip even under harsh conditions. In other words, the snow tread will keep you safe during the cold season. Especially in winter, there’s the constant risk that the layer of water covering road surfaces will lead to aquaplaning. By presenting decent water displacement properties, winter tyres lower the risk of aquaplaning and drivers will have maximum control over their vehicle no matter the conditions. Before you travel abroad by car, always search for the new legal requirements for winter tyres. If there is no legally defined time frame for compulsory use of winter tyres, consider this – as a rule of thumb, experts recommend driving with M+S tyres or winter tyres between October and Easter. Also, feel free to use our help and contact us with further questions about legal requirements in regards to summer tyres and winter tyres.